Experience the world of 1001 nights! 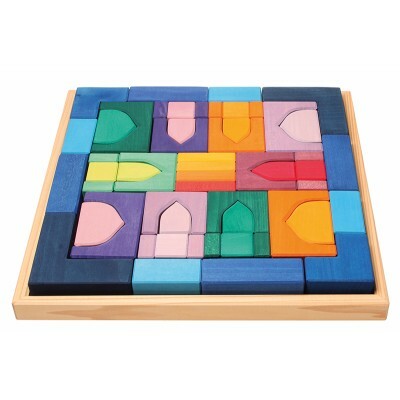 Even younger children will be fascinated by the intense colours and beautifully formed elements. 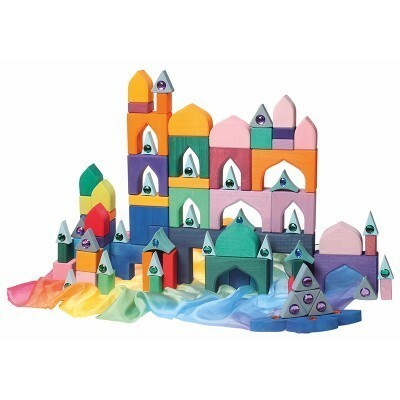 As the children get older, they will create more and more detailed palaces. 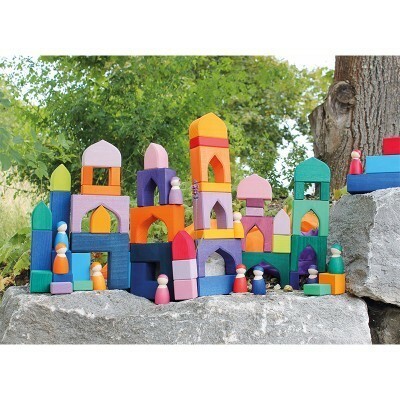 Create more mystery and wonder with this building set when combined with glass stones, silk scarves, dolls and other elements. 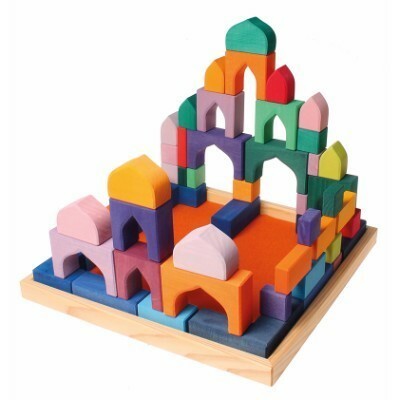 By building and playing with these blocks, children develop fine motor skills and spatial thinking skills. Tamanho: frame length 44,5cm, single blocks 4cm thickness, height 2-12cm. 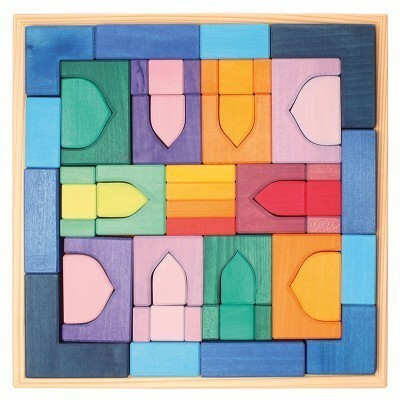 Quantidade: 54 buidling blocks in wooden frame.